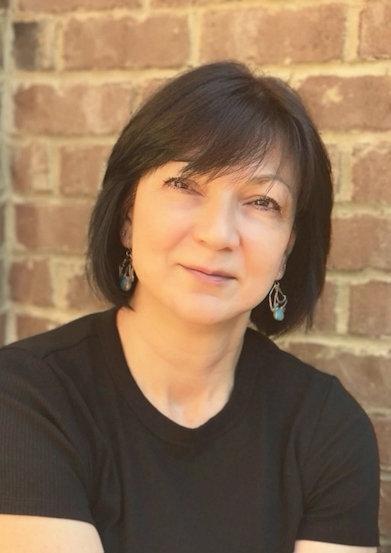 Galina Yildirim, LMT is a very dedicated therapist. We have observed her professional growth since she took her first Medical Massage class with us. She has constantly improved her skills and currently works with three local physicians who refer her patients for Medical Massage Therapy. Galina’s submission to JMS is a very interesting clinical case which puts the spotlight on a rarely mentioned effect of Massage Therapy (MT) on patients with psychiatric disorders. Of course, this is only one case observation, but we think therapists should consider this treatment option when working on patients, friends or members of the family. We think that Galina’s submission will give therapists professional confidence while working on patients with psychiatric disorders. I met my most interesting client in December of 2016. She was an older lady who came from a small Siberian town in Russia to visit her daughter in Atlanta. She came to my clinic for a relaxation massage. I asked her if she had any pain or complaints, and she said she felt very tight and just wanted a relaxation massage. As soon as I touched her soft tissues I understood she was my patient. Her whole body was incredibly tense, but flexors and adductors in lower extremities were especially tight and felt as hard as stone. Her active abduction in hip joints was no more than 5-7 degrees. I barely fit my fist between her knees. Her walk was very strange looking since she walked like a knock-kneed child. Another area where she was especially tense was her neck since she had restricted ROM in the cervical muscles. Her active rotation was 20 degrees to each side. I suggested to her that she probably needed Medical Massage treatment, but she refused and insisted on just getting a relaxation massage. I did what she asked but I worked on her tight tissues on a layer to layer basis, trying to reduce the great tension she had accumulated. The next week, she came to my clinic feeling better and agreed to try Medical Massage Therapy. I was waiting for her like she was a Christmas present. I was holding questionnaires in my hands, anticipating how well I was going to do on the clinical interview. The very first thing she said was that she felt very good and didn’t experience any episodes this month. My heart sank, and I asked her what kind of episodes she was referring to. She told me that she suffered epilepsy for ten years and has episodes every month while she continues to take anti-epileptic medications. Usually she loses consciousness during each seizure episode and it takes her 2-3 days to recover. I didn’t know much about epilepsy when I began, but something told me to start with the head. Half of the time I worked on the head and neck muscles. The rest of the time I performed Iliopsoas Muscle Protocol. I didn’t do Postisometric Muscular Relaxation, as I was scared to increase spasticity. Needless to say, I spent the next couple hours after she left reading about epilepsy. Apparently, there are different types of epileptic seizures: tonic, clonic, tonic-clonic, myoclonic, atonic and absence. My patient suffered from tonic-clonic type of seizures when a period of strong spasm and rigidity is followed by limbs shaking. The presence of rigidity phase explained why her tension was especially high in flexors and adductors (since they are stronger). Considering the pattern of her tension distribution before the second session, I tested her for clinical symptoms associated with Obturator Nerve Neuralgia and I found that my patient was positive for everything but periostal trigger points. For the next three months, she came to see me every other week. Every time I would start treatment with Cervicocranialgia protocol, then I’d perform Obturator Nerve Neuralgia protocol finishing with Postisometric Muscular Relaxation. Unfortunately, she did not have the ability to come more often. At the end of three months her cervical ROM was completely restored, active abduction in her hip joints was for at least 45-50 degrees. Her gait became less laborite since the spasticity she suffered from was almost completely eliminated. Just before leaving the US, she went with her family on a short trip to Mexico, where she had her first episode of epilepsy since December. The main reason was that she forgot to take Novopassit, her epilepsy medication. The episode was very mild and it was the first time she didn’t lose consciousness during seizures. Out of professional curiosity, I kept in touch with her daughter regarding her condition. After going back to Russia, she had four more massage sessions and one more seizure and it happened again when she forgot to take her medications. According to her medical history, by June she was supposed to have had at least 7 episodes of epileptic seizures, but she had only two which were milder since she didn’t lose her consciousness. The only change in her treatment routine was introduction of Medical Massage Therapy. We think that to fully appreciate the value of Galina’s submission we need to provide some additional support of her case with scientific data and explanations. Dossetor, et al., (1991) reported very interesting results of a case study. A 14-year old girl was diagnosed with Cornelia de Lange Syndrome at the age of 4. This psychiatric disorder is associated with self-injury behavior. In the described case the patient had an extremely severe form of this syndrome. The patient beat her face and eyes, hit her face against the door, door-knobs or ﬂoor, cut herself and picked at her fresh wounds. The child also had numerous surgeries to heal wounds. Later, the patient started to hurt nurses in the hospital. She was the most difficult and aggressive patient in the entire hospital for challenged children. To protect her and others, she was wearing a protective helmet, with a visor for her eyes, splints for her arms and legs, and bandages to prevent picking at wounds. The patient was under permanent sedation to control her self-injury behavior. Any possible methods of treatment developed by modern medicine failed for 10 years. At the age of 14 she was for the ﬁrst time introduced to Massage Therapy by her nurse. After the first session she enjoyed it and was relaxed. As a last hope, the massage treatment was performed daily or even 2 times per day. From week to week she started to feel better and better. She was allowed to take her helmet and splints off for 30 minutes per day after 3 weeks of treatment. If the patient had attacks of self-injury behavior, additional massage treatment was immediately applied and it restored normal behavior. The patient’s episodes of aggression got shorter and became less frequent and her mood improved dramatically. After 6 months of treatment she was off any medication for the ﬁrst time in 10 years! She also started to learn how to read and write. These improvements were stable for 18 months prior to the article’s publication with sporadic mild relapses which were easily controlled. The authors found that massage is an extremely useful adjunct to the treatment of such severe psychiatric disorders. Garner et al., (2008) examined the impact of massage therapy on anxiety, stress, hostility, and the aggression level in young adult patients in the psychiatric inpatient unit. Daily 20-minute massages significantly improved hostility (p = 0.007) of the patients with a simultaneous decrease in anxiety, heart rate, and cortisol level. The authors concluded that Massage Therapy has a unique impact on psychiatric patients because it has immediate beneficial effects and may be a useful de-escalating tool to help acutely hospitalized psychiatric patients. The patients from these two studies and Galina’s epilepsy patient have completely different psychiatric disorders, but there is one thing they have in common: increased motor activity in patients’ brains which shows itself as aggressive or self-aggressive movements or as seizure attacks. There is no one cause of epilepsy but we can state that seizures patients suffer from are the result of excessive and abnormal activity in the brain cortex (Fisher at al., 2005). The daily work of the healthy human brain is a very desynchronized event. In the contrary, the brain activity of a patient with epilepsy is very synchronized and it overloads the brain until the seizure’s threshold is reached and an epilepsy attack happens. While working on her patient Galina used Medical Massage protocols constantly switched between techniques and modalities needed to address soft tissues located in different layers. While doing that she activated a large number of different peripheral receptors, creating massive sensory input to the brain. This constantly changing sensory input broke the patient’s brain synchronization and prevented it reaching the seizures’ threshold. Girl with Comelia de Lange Syndrome. Dev. Med. Child. Neurol., 33: 636-644, 1991. Garner B, Phillips LJ, Schmidt HM, Markulev C, O’Connor J, Wood SJ, Berger GE, Burnett P, McGorry PD. Pilot study evaluating the effect of massage therapy on stress, anxiety and aggression in a young adult psychiatric inpatient unit. Aust NZ J Psychiatry. 2008 May; 42(5):414-22. I was born and grew up in the gorgeous city of St Petersburg, Russia. From an early age, I was fascinated with how the human body integrated with the rest of the world. My parents urged me to understand the nature around us in order to see how all things in nature are related. I received a master’s degree in meteorology and learned earth science for several decades, finally realizing that the human body is deeply connected to the nature around it. understanding of the human body, must finally come to fruition. Being Russian, I always had a great admiration for Medical Massage, as it was an essential part of the medical field. I received my massage therapy degree from Gwinnett College, but I knew that something was missing in my education, so I started to look around for a program which would fulfill my demands. Discovering SOMI’ program, I finally expanded my horizons and found what I was looking for. I feel privileged to have been given the opportunity to study with Dr. Ross Turchaninov!